Despite just one hit film (‘Badlapur’) to his credit as a director, Sriram Raghavan is widely regarded as one of the finest directors to be working in the Hindi film industry. All the four films (‘Ek Haseena Thi’, ‘Johnny Gaddar’, ‘Agent Vinod’ and ‘Badlapur’) have been thrillers and his new offering ‘Andhadhun’, too, is set in a similar space. The film, officially adapted from a French short film titled ‘La’accordeur’ (lit: ‘The Piano Tuner’, traces the journey of Akash, a piano player, as he gets entangled in a series of bizarre and difficult situations. Akash (Ayushmann Khurrana) was hit by a cricket ball when he was fourteen years old which resulted in a damage in his optic nerve and him losing his eye sight. He lives in a house provided by an NGO that looks after the needs of differently-abled people and keeps practicing on his piano day and night as he hopes to save money and compete in a music competition in London. One day, while walking on the road, he is hit by a scooter. Driving the scooter is Sophie (Radhika Apte) who happens to be the daughter of the owner of a restaurant called Franco’s. Sophie asks Akash to play at the restaurant. Akash’s renditions are hugely admired by the patrons of the restaurant, one of whom is yesteryear actor Pramod Sinha (Anil Dhawan). Pramod asks Akash to come to his house and play to his wife Simi (Tabu) and him on their marriage anniversary. The first half of the film moves at a brisk pace and has so many twists and turns that one waits with bated breath to see what happens next. The startling revelations keep you on the edge of your seats and result in a completely immersive experience. The second half starts off on an equally thrilling note but the plot gets convoluted at a point and a few incidents come across as implausible. May of the crimes committed by different characters in the film occur in broad daylight, in public places. This is something the average viewer will find a little difficult to digest. The climax, too, might leave some viewers a little confused. 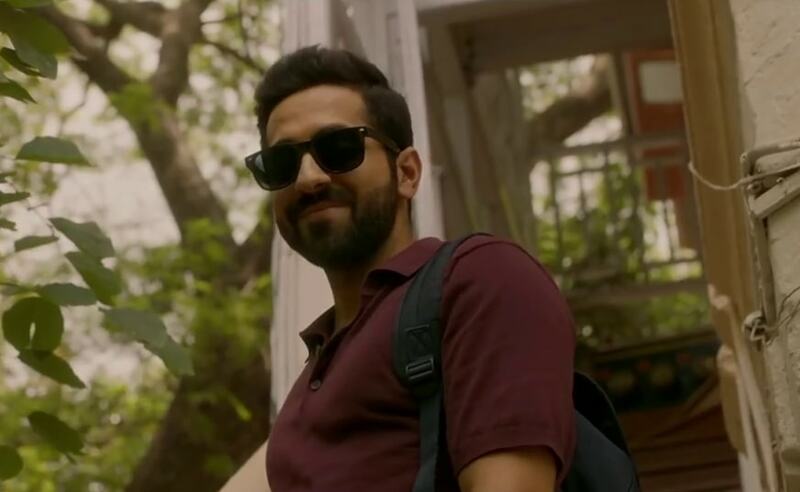 Despite a few blemishes, ‘Andhadhun’ turns out to be one-of-a-kind experience. It is the kind of cinema one seldom gets to see being churned out in the Hindi film industry. Perhaps, the one film which comes closest to the kid of style and form this film adapts is Sriram’s own ‘Johnny Gaddar’ (2007). Just like ‘Johnny Gaddar’, this film has a wonderful amalgamation of black comedy and thrill. Of course, the plot of the two films are completely different but there are certain similarities in the way the two films are structured and the narrative is put together. The retro references, dark humour and the twists-and-turns are reminiscent of the way the narrative played out in the 2007 thriller. This is Ayushmann Khurrana’s most intense film till date and he brings out a side of himself which one had not seen in his earlier films. Just like his musician character in the film, he hits all the right notes as a performer. Tabu, as always, is in great form and gets a very well-etched role to chew on. Radhika Apte gets a few interesting scenes but remains absent from the screen for a large time. Anil Dhawan leaves a huge mark in a brief but well-written role. Manav Vij impresses right from the first scene he appears in. Ashwini Kalsekar and Zakir Hussain, who have been regular players in Raghavan’s films, play their parts well. One of the biggest trumps of the film is the background score by Amit Trivedi. The songs, too, are very tuneful but the best track (“Aap Se Milkar Achcha Laga”) plays in the end credits. This is one of those rare Hindi films to have been shot entirely in Pune and KU Mohanan and Rajeev Ravi (additional cinematography) capture the essence of the city nicely. The editing (Pooja Ladha Surti) is crisp. ‘Andhadhun’ has its shortcomings but it is, without a doubt, one of the best thrillers to have made in the Hindi film industry till date.